Nestled in the beautiful highlands and surrounded by mountains and forests, Dalat is a destination unlike any other in Vietnam. Its refreshing weather and clean air will also be a welcome change if you’re coming from a place like Ho Chi Minh City or Hanoi. Founded in 1907 as a French hill station, Dalat is still a popular destination both for local and international visitors. The city quickly grew, with new hotels, resorts, golf courses, and even boarding schools. Located in the highlands and surrounded by pine forests, the city enjoys a temperate climate quite unlike the rest of Vietnam. The great weather has also made Dalat an agricultural center. Rice, coffee, tea, and a large variety of fruits and vegetables are grown here. 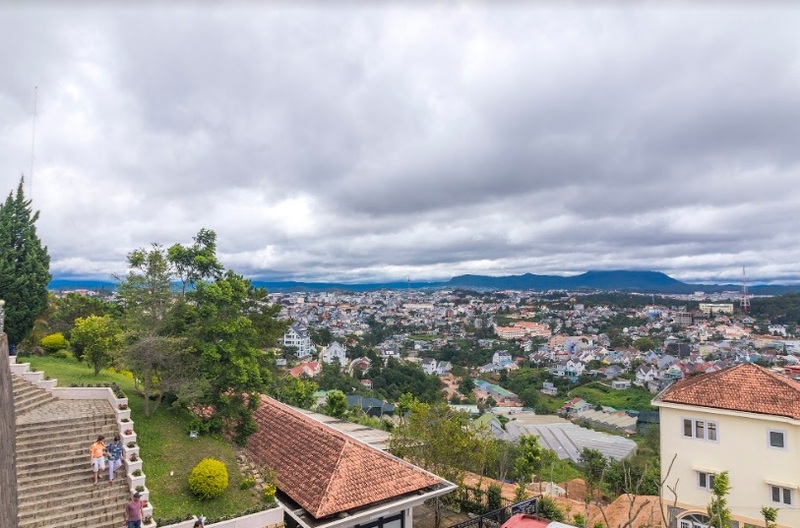 Today, Dalat is a popular honeymoon spot for Vietnamese people and a hub for nature lovers who want to go for treks past rice paddies and up some of the area’s highest peaks. Got a few days to spare and want to explore pristine lakes and hillsides? Then Dalat is waiting for you! 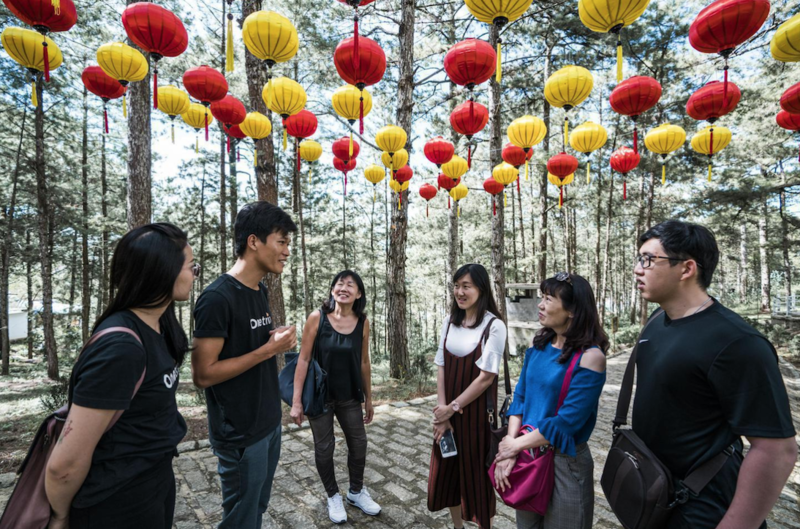 While the rest of Vietnam is hot pretty much year-round, Dalat is known for its fresh, crisp air and comparatively low temperatures. With an average of only 14-23 degrees Celsius, it makes for a great break from the heat and stuffiness of Vietnam’s big cities. Situated in the highlands and surrounded by hills and mist-filled valley, Dalat knows two main seasons: rainy and dry. If you want to avoid downpours, visit the city from November to April but be sure to bring a sweater as it can be quite chilly during this time, especially in the evening or early morning. If you want milder temperatures, head there from April to October but be ready for some rain during this time as well. 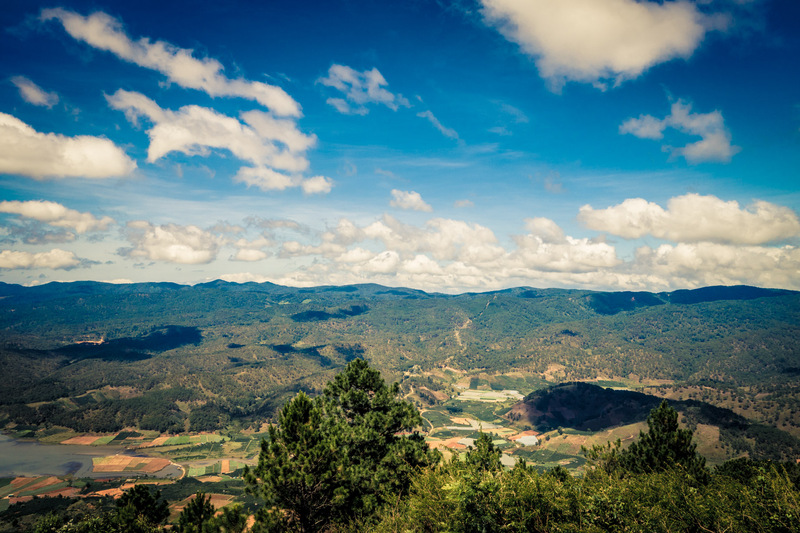 Getting to Dalat is easier than its location in the highlands might suggest. If you are coming from Ho Chi Minh City or Hanoi, the easiest and fastest way to travel is by plane. Flights run daily and are less than two hours. From the airport, you can catch a taxi to the city center. The 30-kilometer drive will cost you about 200.000 VND. 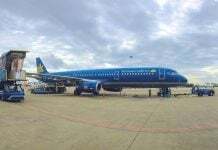 If you are coming from Ho Chi Minh City and don’t want to fly or you are traveling from Nha Trang or Mui Ne, you can take a public bus, minivan, or private driver. While this will be a good bit cheaper than a flight, it will also take considerably more time and be less comfortable. Be aware that you will be taking bumpy, winding mountain roads which you’ll be sharing with many motorbikes, trucks, and other vehicles. If you’re prone to motion sickness this could be a turnoff, but if you think all that adds to the charm of exploring Vietnam, then book your ticket with Mai Linh and Phuong Trang (the two most reliable operators) at any reputable travel agency. We don’t advise you to drive your own car or bike to Dalat since the road can be rather tricky and the traffic doesn’t make it any easier. 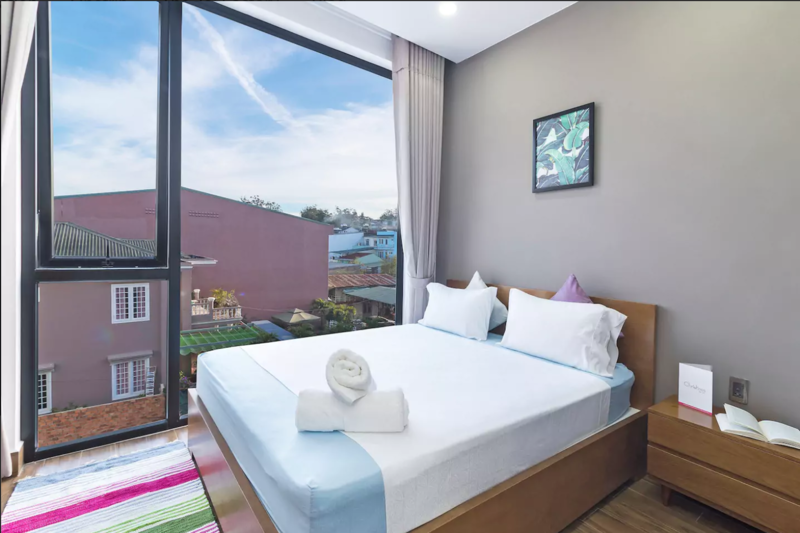 Since Dalat was founded as a hill station by the French and was designed to welcome guests, there is no shortage of accommodation. What’s even better is that there is easily something for every travel style and budget. Looking for a fancy resort with sweeping views of green mountains? Check out the Terracotta Hotel & Resort. Do you prefer a hotel in the city, closer to its main sights and transportation? Then have a look at Mille Fleurs Hotel. 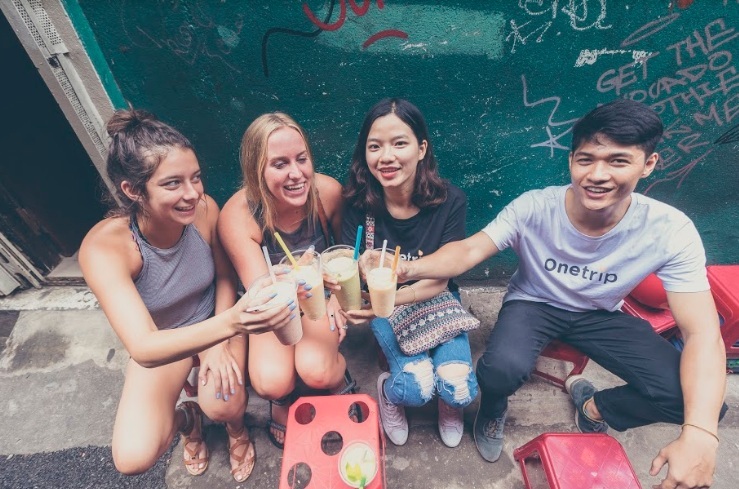 If you’re on a budget, there are plenty of hostels to choose from where you can meet fellow travelers and exchange your favorite travel stories. And if you really want to go for a local experience, why not book a homestay? That way you’ll get to meet both locals and fellow travelers and be sure to have an absolutely unforgettable time. Christina’s also has a new location that combines the social aspects of the homestay with your own luxurious privacy. Dalat has something for everyone. From historical landmarks to beautiful pagodas, this city has got you covered. To give you an idea of what to see and do while you’re in town, here a few things you should add to your itinerary. Downtown Dalat is made up of a web of streets full of great things to discover. From cool coffee shops selling the freshest coffee you’ve ever had to little stores selling locally produced handicrafts, you can find it all. Take some time to meander around the city, get some delicious, fresh fruit from one of the many street vendors and enjoy the distinctive European flair that makes Dalat so special. If you feel like walking some more after checking out the city, go stroll around Xuan Huon Lake. Right next to it you’ll find the Japanese garden. It’s a wonderful place to relax and enjoy nature as you’ll be surrounded by trees, flowers, and singing birds. To catch a break after all that walking, cross the red bridge onto a little island, grab a drink at the café there and take in the sweeping views of the gently moving lake and surrounding hills. Did you know that Vietnam is the world’s second-largest producer of coffee? Only Brazil has a higher output of this cherished bean. All that coffee needs to be grown somewhere, and Dalat with its mild climate is the ideal place. So, get ready to have your taste buds wowed by some of the most delicious, freshest coffee you will ever come across. Apart from producing classic coffee beans, Dalat is also known for civet coffee, a specialty that’s quite popular among many coffee aficionados. Take it from me, try just one cup! Truc Lam pagoda is also well worth the visit. Not only is the pagoda itself stunning, but the journey there is unique as well. 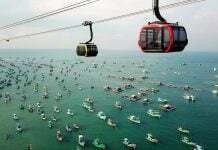 To reach it, you’ll need to take a cable car which leaves from Robin Hill. This place is easily reached by taxi from the city center. The ride takes about ten to fifteen minutes and costs approximately $3. Now it’s time to hop on the gondola and go for the 2,6-kilometer trip from Robin Hill to Phoenix Mountain where you’ll find Truc Lam. The trip is twenty minutes long and offers amazing views of the surrounding hills, forests, and valleys. Don’t forget your camera! Once you’re at Phoenix Mountain, take an hour or two to explore Truc Lam. As Vietnam’s biggest Zen monastery, it’s home to several temples and pagodas as well as expansive grounds where hundreds of monks live in simple quarters. Bring a picnic and join the locals who come here to share a meal surrounded by fragrant pine trees and overlooking the breathtaking landscape. Don’t have time to prepare your own food? Then grab a banh mi, a Vietnamese baguette sandwich, from one of the many vendors. It’s yummy, filling, and quite cheap. 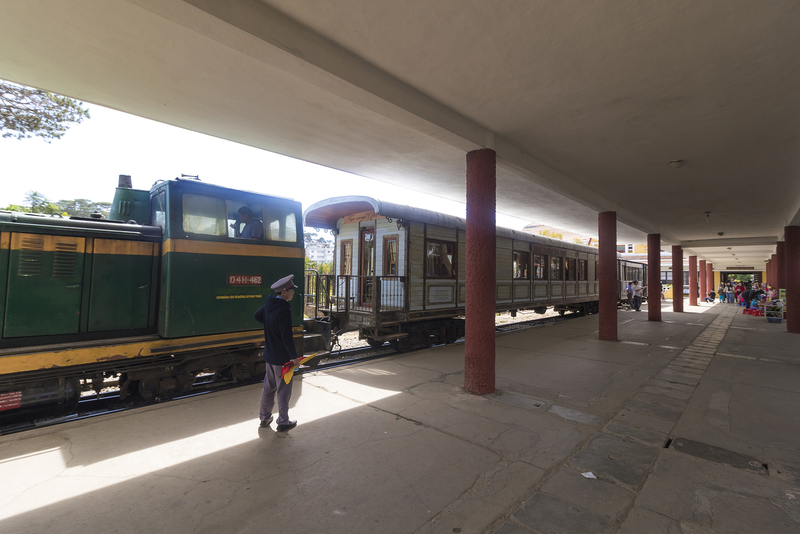 One of Vietnam’s oldest train stations is in Dalat and definitely worth a visit. If you love vintage trains and want to go for a ride in one, you are in luck as there’s a scenic tour every two hours. It heads out to the suburbs of Dalat towards Trai Mat village where you can visit Linh Phuoc Pagoda. An eclectic place full of multicolored decorations, ornaments, statues, and inscriptions, it makes for quite a contrast to the simple Zen style of Truc Lam pagoda. The place to go for some souvenir shopping and delicious local food is Dalat’s night market on Nguyen Thi Minh Khai street. A proper “night” market, it’s open every day from 5 PM to 5 AM and offers an endless choice of food. Don’t eat dinner before coming here since then you’d miss out on the many amazing foods available including noodle dishes like banh canh, bun rieu, and hu tiu or snack foods like thit nuong (barbecued meat), banh trang nuong (Vietnamese style pizza), and banh ong la dua (pineapple leaf tube cake). Each one will only cost you between 10,000 and 20,000 VND!. 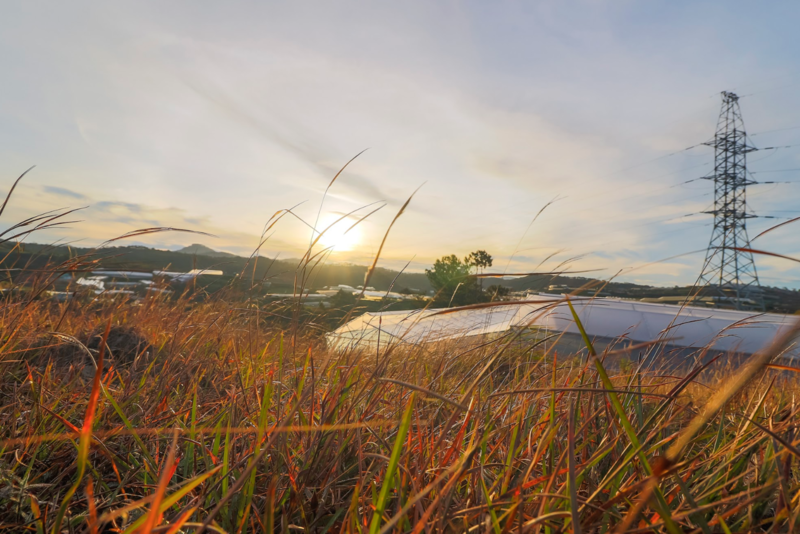 Thanks to its location in the highlands, Dalat boasts a rich offering of outdoor activities. When planning your trip, set apart at least one day to try one or more of the ones we list below! For extra details about how to get to the places, we outline below, check out our article on things to see and do in and around Dalat. 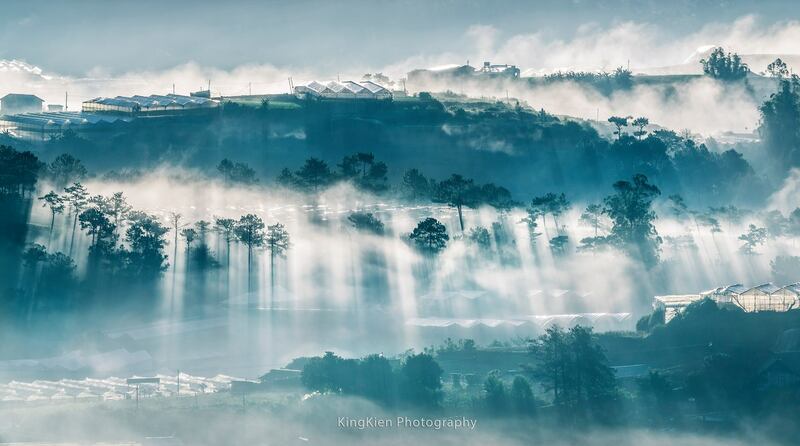 With an elevation of close to 2,300 meters, Lang Biang mountain is the highest peak around Dalat and is well worth a visit. Located only 12 kilometers from the city center, you can get here in about 45 minutes via taxi, motorbike, or by taking the local bus no. five. There is parking available. Since Lang Biang offers the most amazing views of the surrounding countryside, you can imagine that it attracts large numbers of visitors. Often, they will take jeeps to the top, to save time and energy. This makes for a very crowded viewpoint and takes away some of the innate serenity. If you want a hilltop practically to yourself and don’t shy away from a 3 to 4-hour hike, you’re in luck, because right next to Lang Biang is another peak, Bidoup Ban. It’s only accessible on foot which makes it more challenging but also more fun to explore as you won’t have to worry about being run off the road by jeeps as you climb. Finding the right entry point can be a bit tricky. After you get your entrance ticket, don’t go through the main gate. Instead, take a small path to the right of it. It will lead you past tea plantations, greenhouses, and up the mountain. As this is quite a hike, bring a backpack with enough water and food for your hilltop picnic. Another great day trip is an outing to explore the Elephant and Pongour waterfalls. The best way to do this is to hire a driver and let him take you there as the roads are winding and sometimes not in the best condition. The Elephant Falls are about 30 kilometers from Dalat but on the way, you can make several stops at coffee and tea plantations, a silk factory, a rice wine distillery, and even a cricket farm. Ever had a cricket as a snack? Now is your chance. At the Elephant Falls, you can enjoy your wonderfully serene surroundings and let the sound of the water ring in your ears. Since the current is quite strong, you can’t swim there but climbing the boulders around the falls is just as fun. On your way on to the Pongour Falls, you can visit the beautiful Linh Anh pagoda, home to the region’s largest laughing Buddha. Then maybe find a restaurant for lunch as you’ll be hungry from all the exploring. Your driver can probably recommend a great place on the way. Getting to the Pongour Falls will take another hour as the roads are quite rough but the stunning scenery makes up for it. Once you’re there, you can once again climb boulders beside the rushing waters, sit back, and enjoy the sights and sounds of nature all around you. If coffee and tea is your thing, or you’re simply curious to find out how and where the base ingredient for two of the world’s most widely consumed beverages are produced, take the chance to visit one of Dalat’s many tea and coffee plantations. Apart from seeing how the plants are grown and harvested, you’ll also be able to try some tea and coffee fresh from the farm. There are several places you can go to on your own or you can book a tour. As with all tours, do your research and read the reviews to be sure you join a good one and don’t end up in a huge, noisy group. 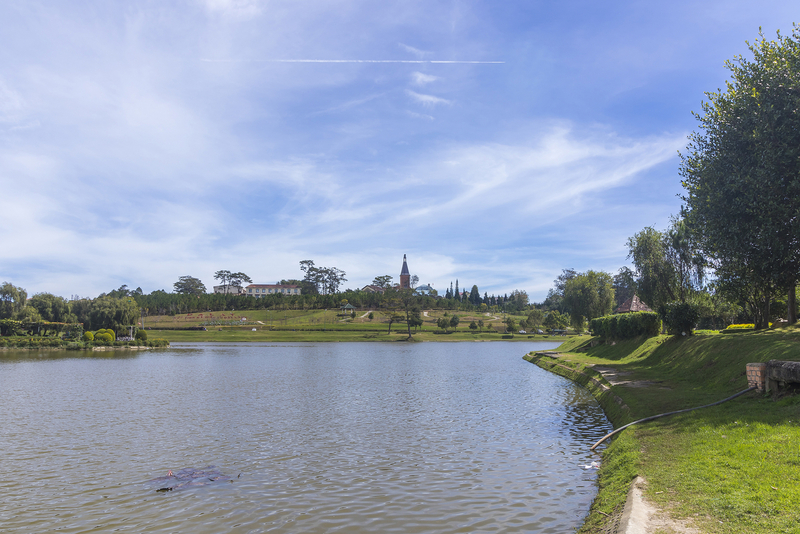 A lesser-known destination close to Dalat is the serene Lak Lake. Rent a motorbike for a day and take zigzagging mountain roads past rice paddies and green fields of tea and coffee. If you’re lucky you might even see elephants! Not comfortable driving your own motorbike? Get a driver for the day and sit on the back of the bike. That way you can take in your wonderful surroundings and snap some cool photos. For the adventure lovers out there, the option to go canyoning will sound awesome. 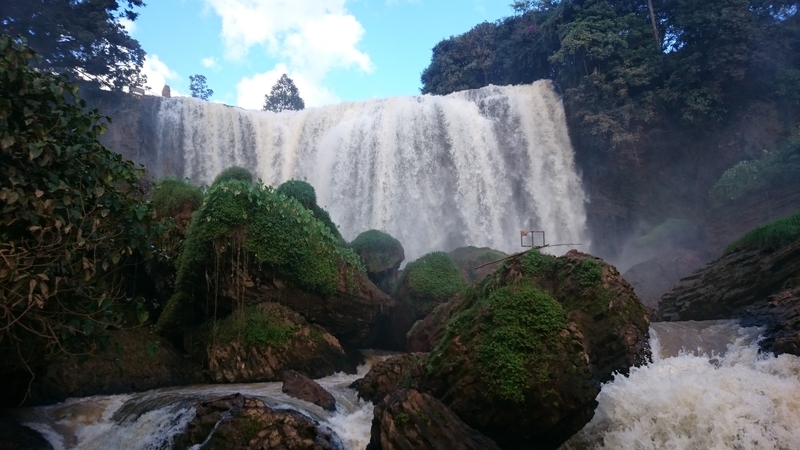 Thanks to its many natural waterfalls, cliffs, and hills, Dalat is the perfect destination for it. Get ready to climb up rocky ledges, rappel down waterfalls, and go down rock slides. Available excursions vary in length and intensity, so check the providers carefully. Also, have a look at reviews and choose a company that has been praised for using high-quality equipment and good guides. Unfortunately, there are a few black sheep out there, so do your best to avoid them. We are running a donation-based tour that benefits the students in Da Lat city! 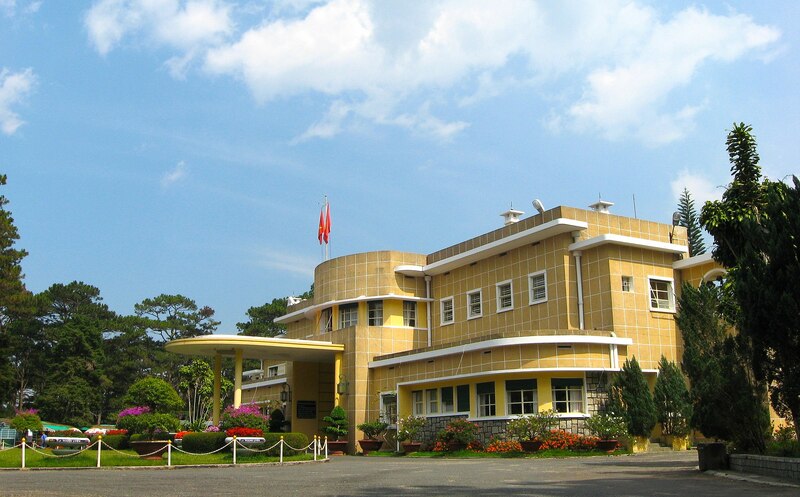 You will be taken to famous tourist sites of Da Lat and informed about the stories and history of these places. The students are locals and there really isn’t a better guide to show you the best aspects of this city. First, you will visit Robin Hill to get a view of Da Lat from above. The city’s history will come to life as the guides point out the small blocks of buildings down below. Then, continue your trip to visit the palace of King Bao Dai, who was the last king of feudalism in Vietnam. 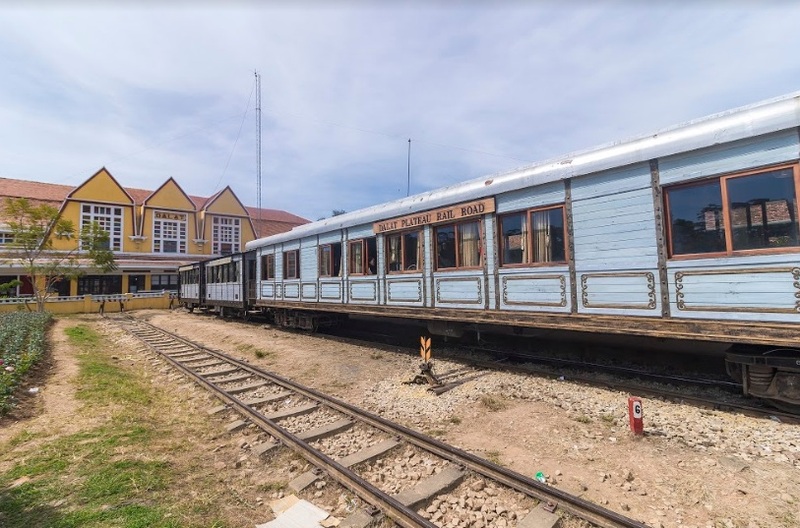 The next stop is the Da Lat Railway Station which was built by the French colonies. You will have a chance to see old French architecture right in Vietnam. 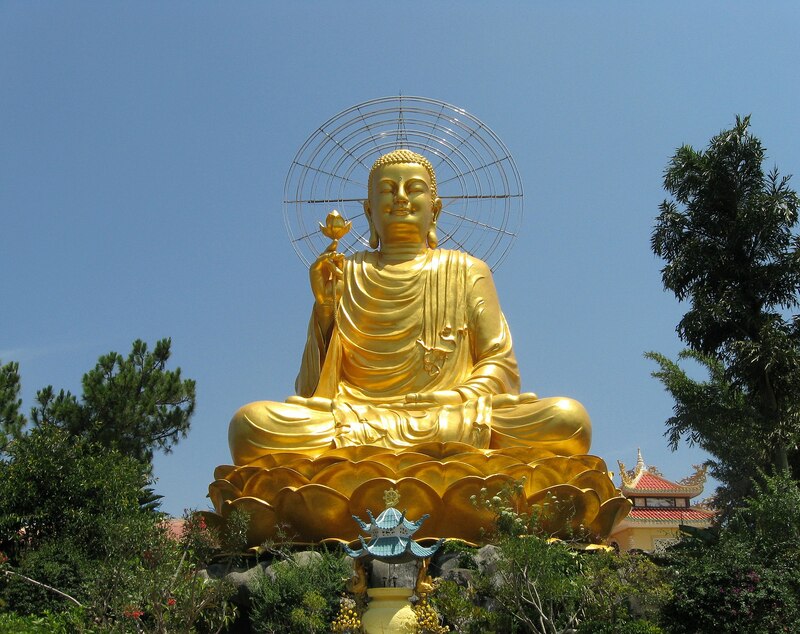 The final destination is Van Hanh Monastery, where the highest Buddha statue in Da Lat is located. Our students will explain Buddhism in Vietnam and how people uniquely practice rituals here. The entire trip will fly by on the back of a motorbike. Witness the poetic beauty of Da Lat the Vietnamese way as you dash along the countryside. After the trip, you will have seen all of Da Lat, but you will also have made new friends with our local student guides of Onetrip. This trip costs you only ONE US DOLLAR for the safety of our students. So, why don’t you start your interesting adventure in Da Lat with us? Click here for more information and tour reservations! As most cities in Vietnam, Dalat is home to some delicious specialties that you absolutely must try while you’re there. Here’s a list of some you really shouldn’t miss. And if you still want more information about food in Dalat, check out our article about where and what to eat in Dalat. This local delicacy has several variations, some of which are not for the fainthearted. Bánh ướt lòng gà consists of a thin rice pancake stuffed with pig’s offal (yes, you read that right) or chicken, onions, and fresh herbs. If you’re brave enough to try it, head over to Trang, a small restaurant on Tang Bat Ho street known to prepare some of the best Bánh ướt lòng gà around. Are you loving all the wrap and roll dishes in Vietnamese cuisine? Then this one is for you. Alongside crispy rice paper rolls you will be served juicy meatballs, usually made of pork and seasoned with tasty herbs and spices. Dip them in the savory peanut sauce that comes with it and your taste buds will do summersaults. Curious? Go to Phan Dinh Phung street and find Bà Hùng restaurant as they are famous for this dish. 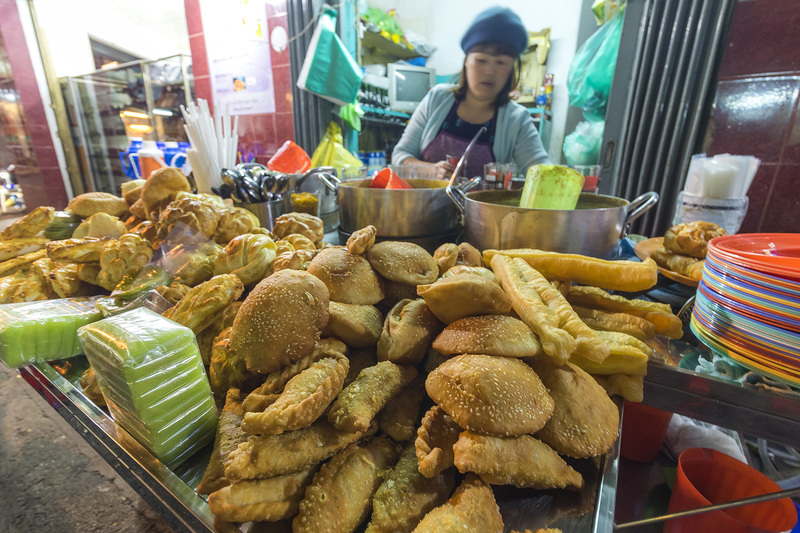 What kind of a foodie destination would Dalat be if it didn’t feature its own delicious take on Bánh, the local pancake? That’s why you should absolutely try Bánh căn, yet another type of pancake. This one is made with rice flour and egg or beef and is served with fish sauce seasoned with spring onions, garlic, and some chili. Hot and crispy, this is the ideal dish to enjoy during a cool evening in Dalat. A good place to find Bánh căn is Lệ restaurant in a little alley right off Yersin street. For the dessert lovers, che is an absolute must-try. This pudding-like dessert comes in many forms and often includes ingredients such as mung beans, tapioca, jelly, and fruit. It can be served hot or cold, so you’ll have a suitable option for either season. In winter, the fact that the hosts serve you hot tea with your dish is an added bonus as it will warm you up nicely from the inside. Dalat’s Che specialists can be found at He, a little hole in the wall restaurant on Ba Thang Hai street. If you’ve still not had enough, there’s one last dessert you need to try. Being home to many a fruit and vegetable plantation, there is an abundance of fresh produce in Dalat. This has led to interesting creations such as kem bo, avocado ice cream. Served with sweetened coconut milk, coconut shavings, ground peanuts and chocolate syrup, this dish is unique and tasty. Thanh Thảo, a small dessert shop on Nguyen Van Troi street serves up yummy kem bo as well as other ice cream flavors and che Thai, another version of Vietnamese sweet gruel. Did all these great ideas for activities to do and foods to try to convince you that it’s absolutely worth it to visit Dalat? Then start planning your trip here right now. Nestled in the beautiful highlands and surrounded by mountains and forests, Dalat is a destination unlike any other in Vietnam. Its refreshing weather and clean air will also be a welcome change if you’re coming from a place like Ho Chi Minh City or Hanoi. Whatever is your point of focus, trekking, exploring, adventure travel or eating yummy local delicacies from small market booths, in Dalat you can do it all. So, what are you waiting for? 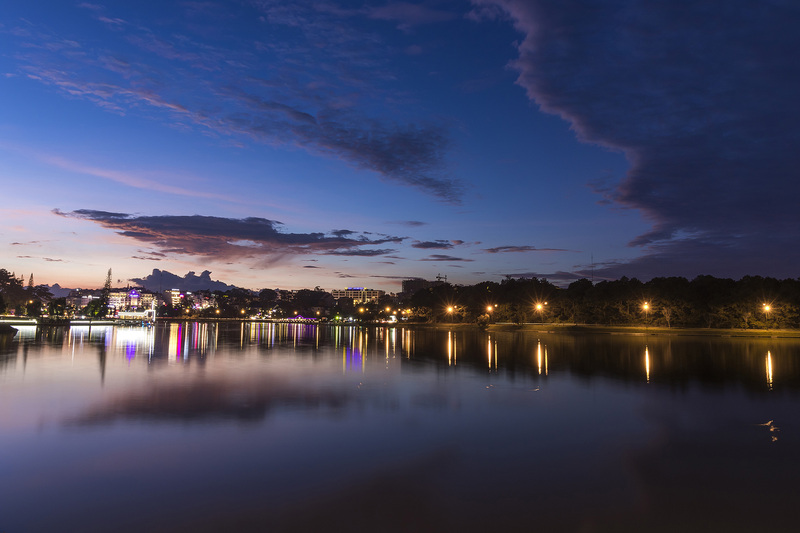 Although it’s recognized as one of the most peaceful cities in Vietnam, Dalat also has a distinct lively charm at night. Check out my suggestions below and your nights in this city will never be the same. 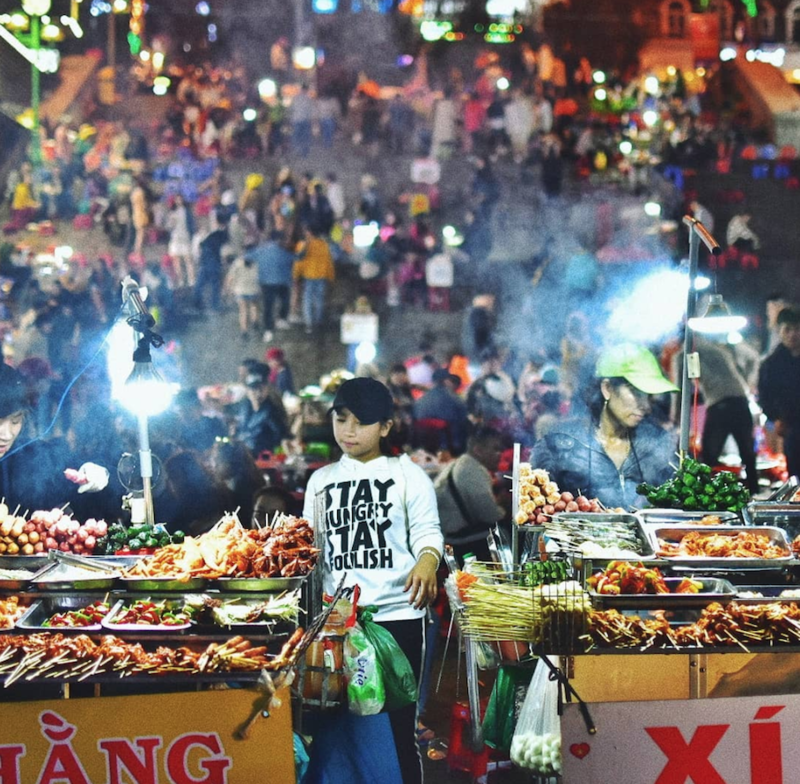 To fuel your energy for a nightlife adventure, head to Dalat night market and eat to your heart’s content! This market is open all night, starting from 7 PM to 4 AM the next morning. Experience this bustling atmosphere, the market is also packed with a variety of local goods and foods. Remember to check out some hand-made items such as clothes, hats, and scarves as well as Dalat specialties like Vietnamese pizza (banh trang nuong), grilled sweet potatoes, roasted meats, and hot soya milk. I’m sure that these flavors will stay in your memory forever! If you wish to admire this charming city from above, Dalat Nights cafe is where you should go. Not only does this place offer a spectacular view of the dreamy city, it also has a satisfying menu, from wonderful drinks such as tea, yogurt, milk, smoothies, and Vietnamese coffee to scrumptious dishes such as pork cutlets, sandwiches, french fry steak, and many more! 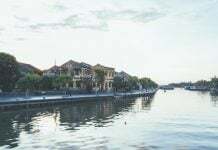 And if you want to burn some calories to grab more food, why not take a stroll around Xuan Huong lake, Lam Vien Square, and Truong Cong Dinh expat street? These spots will complete your memorable night. There are countless things to do in Dalat, so how does one accurately discover the best options? Easy peasy, just join our Onetrip Dalat tours and you will explore this lovely city to the fullest! Every outstanding destination is covered in our itinerary: the Dalat city tour, food tour, the waterfall adventure, and even a road trip on mountain passes to Nha Trang city! Buckle up and hold on tight because your journey starts… now! If you enjoyed reading this article and would like some more fun info about what to see, do and eat (and a bunch of interesting cafes!) in Vietnam, follow us at the The Christina’s Blog!